Akira the Don, rapper, producer, hip-hop musician and gamer, dropped nearly an hours worth of amazing Street Fighter-themed music on his site this week. The 51-minute Street Fighter Mixtape may start out a bit slow, but once it gets rolling you're not going to want to stop listening. Akira says the album, A Tribute to the Music of Street Fighter, includes samples of tons of Street Fighter related music including sounds from Redman, Ras Kass and Double. 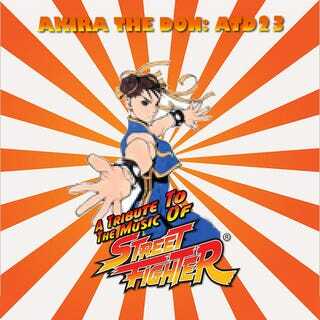 It also pulls heavily from the original Capcom Street Fighter soundtracks. The end result took three weeks to mix and produce and is something that Akira says he could never do on a album: "Sample outrageously! Force self into corners! Learn fast! Scream at the horror of self-imposed deadlines! Push the maximiser too far! Learn from mistakes! Make new ones!" Did I mention the single track mix is free? You can also stream it from the site. Hold on! Did I catch a little Buck Rogers in there?